We are decades into the industry. So you can trust us. We promise to not let you down. We provide timely service. We know you would want to settle down quickly in the new place. We assure that your furniture will be delivered to you at the time specified while booking our truck. It is our value for customer satisfaction that has won us name and fame. We are quick. Our staff are highly experienced, so able to do the job quickly without compromising on the service quality. Our interstate backloads are cost- effective. By hiring us, you benefit from low pricing. We guide you on everything required for a hassle- free move, right from packing to insurance. We operate throughout Australia, so anywhere you need help with removal, backloading or moving your furniture, we are there for you! We use top quality materials for packing. So have no worries! There is a real art to being good Interstate Removalists. A good Interstate Removalist will have all the bases covered. The Backloading Company specialize in Interstate Removals. We have an excellent team in our head office that coordinates every part of our interstate removal process. When conducting business with The Backloading Company the head office staff are the first contact. They will try their best to arrange a competitively priced Backloading Interstate Removal, by first quoting on the move, then arranging the best suited truck for your local and removal time. Next onto our Removalists, who have been trained in specially stacking furniture for those long Interstate Removals. It is important that everything is stacked properly in the truck to prevent damage to your furniture. Your furniture also needs to be stacked in the best access areas for the time and location of your move. Customers receiving their furniture first need to be stacked at the back of the truck or near the side door entrance. It is a team effort between our office staff and Removalists to arrange everything on the trucks. The Backloading Company also rely on staff in our intestate depots on the Gold Coast, and in Brisbane and Melbourne. Staff in these interstate depots will often arrange delivery of the Interstate Removal locally from the depot. This helps customers with narrow streets or difficult access, which the big Interstate trucks won't fit in. Our interstate depot staff also help by sometimes collecting your furniture on specific dates and times if you need to be moved out on a particular day. Your furniture is then bought into the deport for the interstate trucks to collect. Process like these is what makes The Backloading Company a real player in the Interstate Removal business. We pride ourselves in our ability to offer our customers a professional service at a cheap rate. Please feel free to use our online quoting system or contact our office today. We, The Backloading Company, are a team of specialist removalist and backloading company. We provide affordable interstate removalist services using backloads throughout Australia and if you are looking for interstate furniture backload, reach out to us today! We take your worries away and ensure a smooth interstate move. Operating as a removals and backloading company for over two decades. We know how best to do all interstate moves. From pick up to the delivery of furniture and goods. Providing door to door services The Backloading Company see to it that no inconvenience is experienced by you. We are professional removalists and perform all our duties efficiently and quickly. Do you want to move your office furniture? Are you planning to relocate? Need a moving service for your home furniture? Moving to a different city in Australia, or to a different state? The Backloading Company are the one- stop solution to all these. 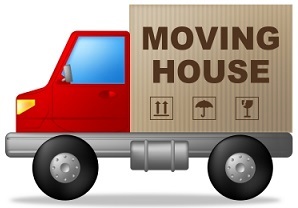 Whether you are looking to move interstate or locally around Brisbane or Melbourne, we are there for you! We can move your office as well as home furniture anywhere in Australia as we operate throughout the nation. So, wherever you plan to move, do not forget to call us. Just let us know and relax. We will do the rest. Call us for a free quote today! Backloading - Is it the right choice? Hiring a dedicated service to move your furniture is not a good idea. You have to pay for the whole truck space and distance, two way. Going for a backloading service proves inexpensive as you need to pay for the space occupied by your furniture and the distance, for one direction only. You will be moving your furniture along with the goods of other clients, so you are sharing the cost! Moreover you need not worry about the care and professionalism. It will be the same as you find in a dedicated service. Backloading is very beneficial if you are moving interstate or to a different city. The backloading professionals carefully, professionally remove your furniture and stack them on to a truck for a safe transit. We have specialist team for removal and backloading who have in-depth knowledge about safe packing and stacking. With years of experience to our credit, you can only expect the best from us. We have a great clientele all over Australia and our fleet will be moving throughout the country. This makes it possible for us to schedule a truck for you quickly. Wherever you plan to move in Australia, call us and we can make it convenient for you! Moving to a new location is exciting, however moving your furniture along is a concern. Do not worry! We are an expert interstate furniture backloading company and can help you move your furniture with ease, at affordable rates. Call us today and move to your new place cheerfully! !